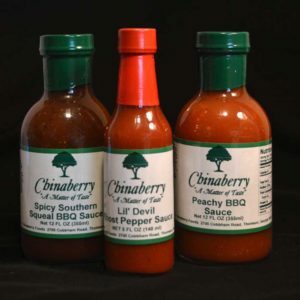 We are a small company located in Thomson, Georgia, where each order is individually and hand-pressed and packaged to ensure you receive a superior product. 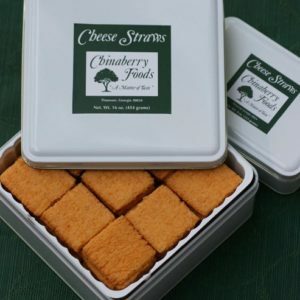 Our cheese straws are square in shape, making them perfect for national shipping. 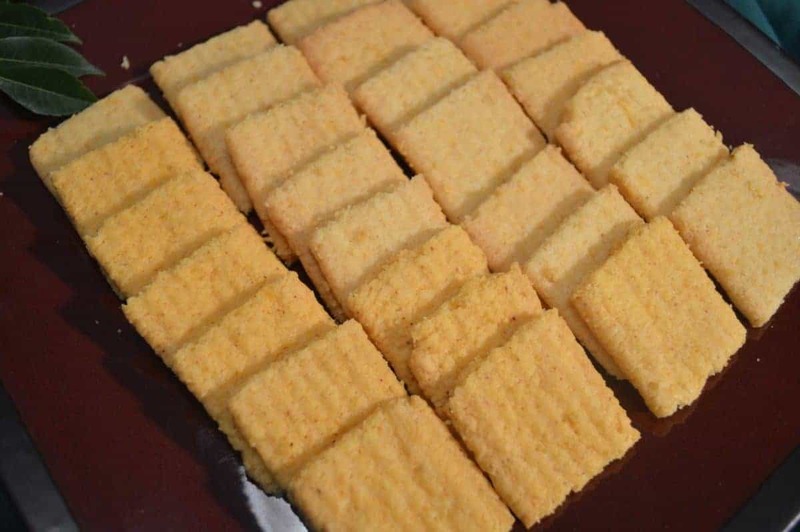 Our “secret” recipe—a perfect blend of sharp cheese, butter, and just the right amount of pepper to give a “zesty” bite—makes our wafers the perfect complement to any occasion. If you need a spiced jolt to get your day going, you’ve come to the right place. 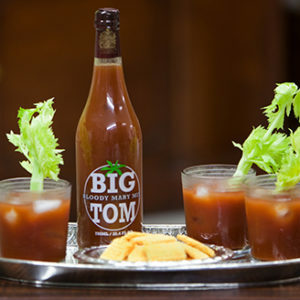 Chinaberry Foods is proud to bring you the mouthwatering taste of spicy Big Tom Bloody Mary Mix. Spice up the family gatherings with these special sauces. Lil’ Devil will make you crave forgivness from its spicy pepper blend. Our BBQ special blends will make your taste buds come alive! You would have found these favorites on Grandma’s counter for sure. 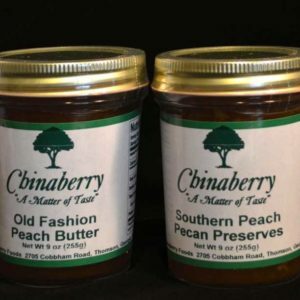 Peach Pecan, FROG Jam, and old fashioned Peach Butter are sure to please. 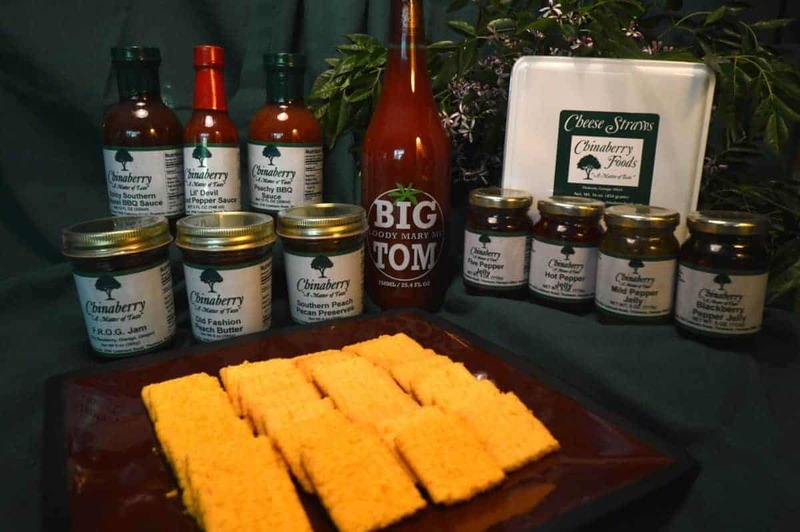 Chinaberry Foods is owned and operated by Tommy Samuels. We believe keeping your family close is a strong tradition in the South and are the fourth generation of the Samuels family to enjoy living on the same property in Thomson, Georgia. Graced with numerous Chinaberry trees, our land is the location of Chinaberry Foods. 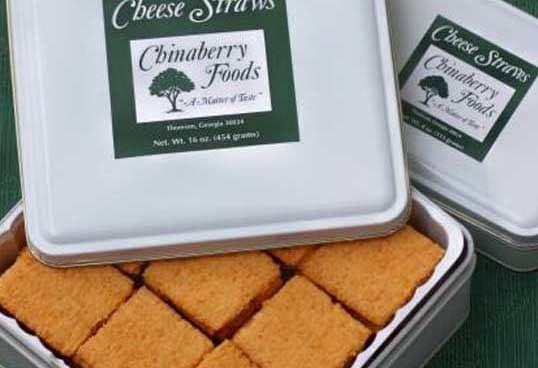 In his desire to promote Southern-style foods to discriminating palates, a new business emerged and he soon began baking and selling his signature cheese straws. Our straws are a true Southern delicacy that became an overnight success. Chinaberry Foods quickly emerged as a premiere location that supplied wedding planners and caterers with addictive cheese wafers. We’ve been making them ever since! See us on Georgia PBS! Tuesday, Thursday, Friday: 10:00 a.m.-5:00 p.m.